I'm wondering if anyone knows of any books on building a mechanical flea circus. Or books on flea circuses in general? Greatly appreciate the links, Jim. Walt Noon is the best resource I ever came across. That is an amazing site. Pretty much everything one would need to get the show on the road. Thanks! I'm working on a miniature version of a "humbug" flea circus... if you can imagine such a thing! I believe it is the first time a flea circus has been made to fit in a child's lunch box. I found one with dogs featured all over it and worked out how to perform a circus in a close-up environment, sitting at a table with kids all around. I've decided to use no electronics, but the audience can have flashlights to use as spotlights trying to find the fleas and light up the performance. Since you don't have much space the props have to be brought on one by one, but you can make (for example) the trapeze posts also serve as the tightwire posts, and a diving post for the water barrel, as well as a place to hang targets for the sharpshooter flea, and for the cannon flight. The challenge is to see how many flea acts I can cram into the tiny circus before I run out of space. 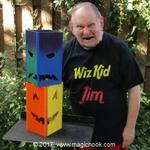 It will be described in an e-Book in The Wizards' Journal #35 when it is complete. That sounds really cool. 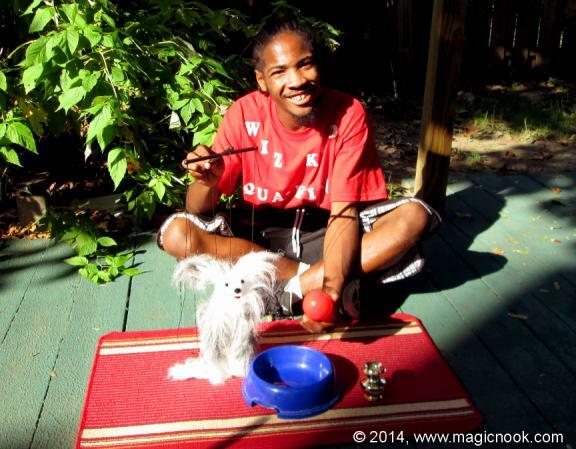 As a recovering "puppet addict," flea circuses fascinate me. Creating the illusion of life on such a tiny stage. And it harkens back to the days of Vaudeville and Side Shows. And after hauling around cases with puppets, stage and sound equipment, a tiny little show such as the one your describing has a lot of appeal. Especially among us who are getting a little older. Thanks for sharing, I'll have to keep an eye out for it when it's finished. 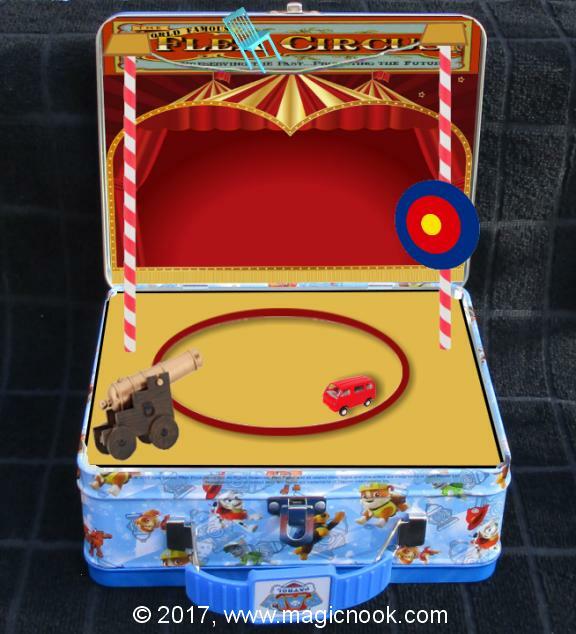 The Lunch Box Flea Circus has been released. I still want to add a crank operated music box mechanism, but it was taking forever to have one delivered so I decided to update the e-Book with photos and information on that later on and not hold up the entire e-Book because of it.